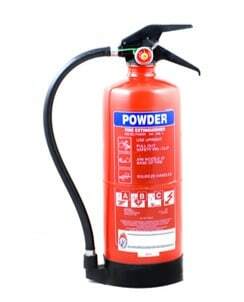 There are 2 types of dry powder fire extinguishers – standard and specialist. We explain all in our simple guide. Summary: Standard dry powder fire extinguishers are very versatile and can put out virtually every kind of fire, however they aren’t recommended for use in enclosed spaces. Dry powder fire extinguishers smother fires by forming a barrier between the fuel and the source of oxygen. As they do not cool the fire, there is a small risk of re-ignition. Pros: work on most types of fire; they suppress fires very quickly; specialist dry powder extinguishers are the only extinguishers that work on flammable metals. Cons: slight danger of the fire re-igniting; when discharged, the powder can spread over a large area leaving a residue; can obscure vision when discharged and can be inhaled if used in enclosed areas. 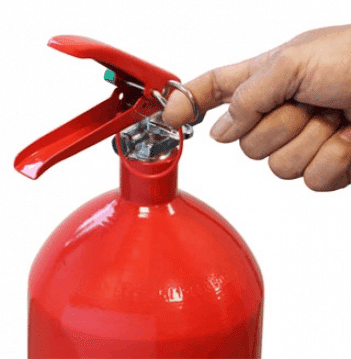 Whilst dry powder fire extinguishers do extinguisher electrical fires involving equipment under 1000v, we recommend also having CO2 extinguishers on hand where there is this kind of fire risk, such as in a team kitchen, or where electric heaters are used. In all cases, firstly remove the safety pin to break the anti-tamper seal, and stand well back from the fire. Remember – don’t use dry powder extinguishers in enclosed areas. If you think you need dry powder fire extinguishers, or you’re not exactly sure what you need, please get in touch with our friendly team by calling 0845 845 3001, or emailing info@surreyfire.co.uk. They’ll be able to arrange a free survey visit for you from one of our BAFE registered engineers. All of our extinguishers come with a 5 year guarantee, and we’ll fit and commission them for you for free.